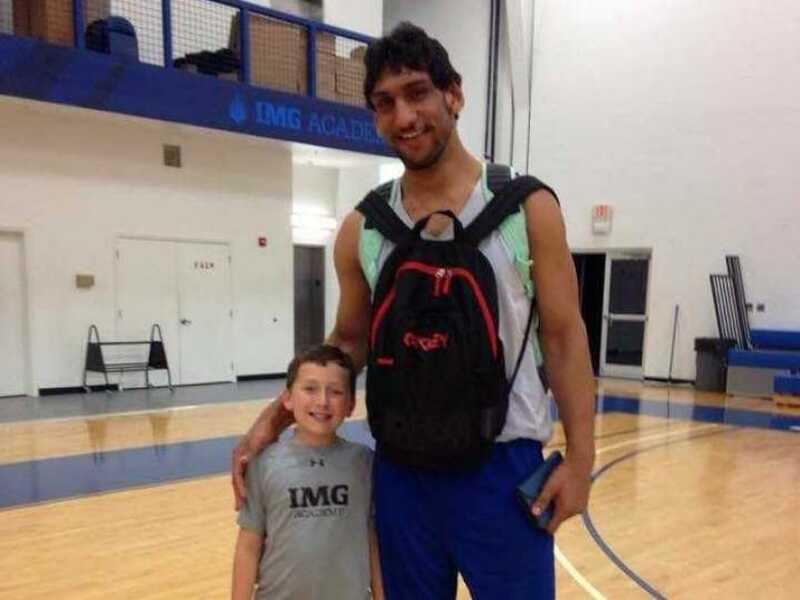 Satnam Singh's bold decision of entering the NBA draft at the age of 19 hasn't gone down well with some talent scouts and coaches. 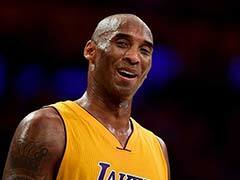 Some question his speed while the others complain about his slow reaction time on court. But all agree on one thing - his solid work ethic. A young village boy who helped his father in the fields, he went to the local school, life was easy, there was no pressure. Five years later, he is nervously sitting in New York waiting to know his future. Sounds like a great movie plot? This is Satnam Singh Bhamara's life story as he counts the hours leading up to the NBA Draft of 2015. He has already made history by becoming the 1st Indian to feature in the NBA Draft but can he make it to the big league? Satnam is confident in the hard-work that he has put in. In an interview to NDTV, he said, "I have a lot of confidence in myself. The amount of practice I am doing right now, I had never practiced before". It isn't just the 19 year old who is confident. His mentor at the IMG academy Kenny Natt also feels that his ward is ready for the rigours of NBA. Natt, a former coach with the Sacramento Kings said, "Due to Satnam's size, age & skills set, he is an intriguing young draft prospect for NBA teams". No wonder the 7 feet 2 inches tall center has already created a buzz & got the talent scouts working overtime. As many as 7 teams including big ones such as Washington Wizards, Sacramento Kings and Boston Celtics invited the 19 year old to attended pre-draft workouts & training sessions. 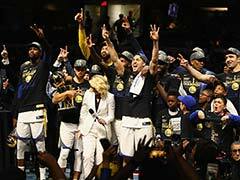 The Director of player personnel of the 17-time NBA Champions Boston Celtics Austin Ainge in fact dubbed him 'The international man of mystery'. 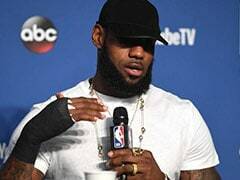 In an interview to nesn.com Austin said, "He's a little raw, but he actually shoots the ball really well. And he's not just tall, he's thick. He's a big, strong kid." Ironically while growing up, his parents gave him a nickname - Chotu (Small). His father is also 7 feet 2 inches tall & his grandmother reportedly stood 6 feet 9 inches. Satnam's bold decision of entering the NBA draft at the age of 19 hasn't gone down well with some talent scouts & coaches. Some question his speed while the others complain about his slow reaction time on court. But all agree on one thing- his solid work ethic. Something that also impressed cricket legend Sachin Tendulkar. Satnam met Sachin in Florida when the Master Blaster was touring the academy. Just like any other fan, Satnam was excited. "I told him everything about myself and Sachin asked me never to take the focus away from my goal." But what made his interaction memorable was when Sachin told him that he would be very happy if Satnam makes India proud. A lot of hopes are riding on Satnam. From being a village boy who could shoot a few hoops to a confident English speaking 19 year old, Satnam has indeed come a long way. But his day of reckoning is here. 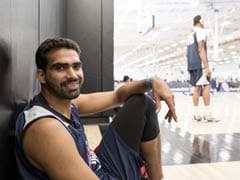 Will he be the first Indian to play in NBA?